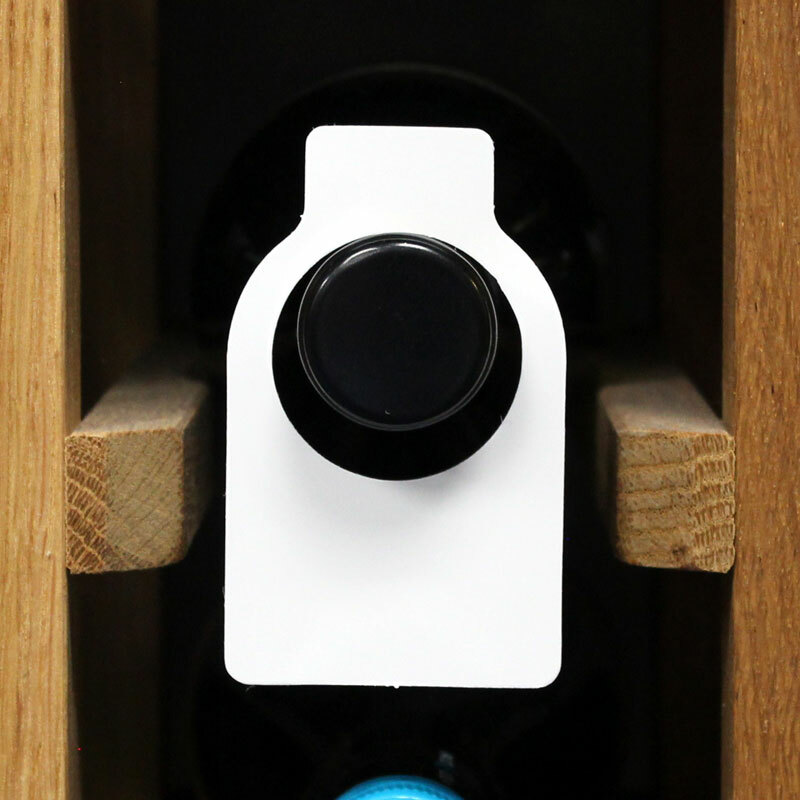 Hole in the middle 36mm 1 5/16"
These plastic wine bottle neck tags allow you to easily and quickly identify your selection of wines stored in a wine rack. 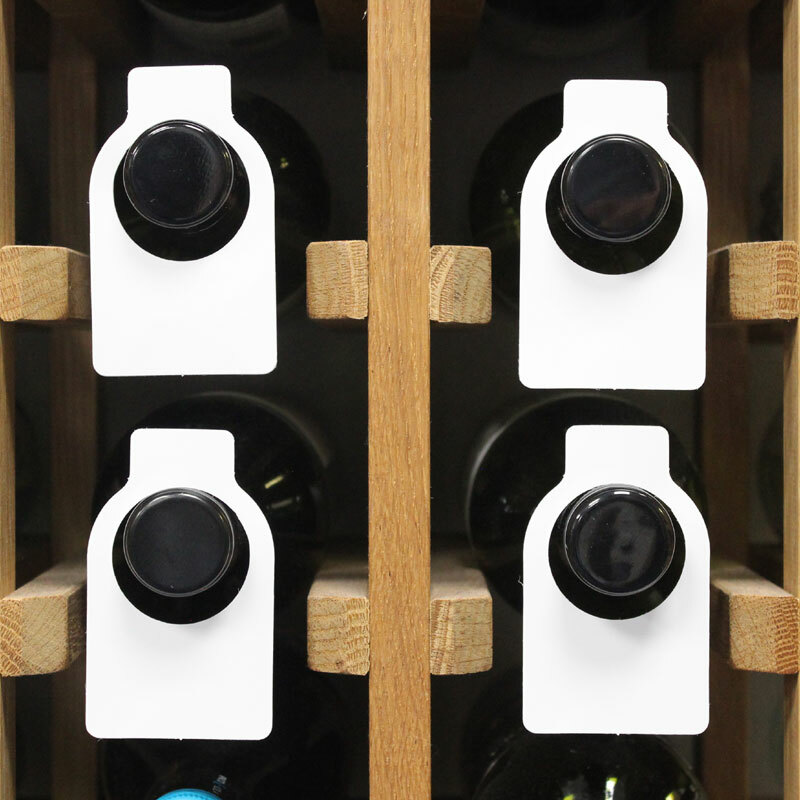 When stored horizontally, you're able to read the neck tags on the end of each bottle without disturbing the sediment. 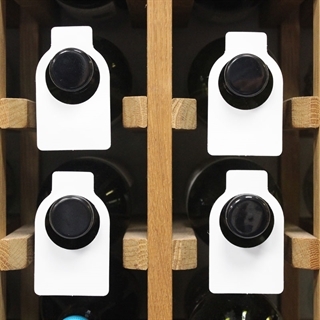 The plastic bottle tags are especially good for dry cellars and storage areas. These wine bottle neck tags arereversible, so once you’ve used one side, simply turn them over and use the other side! The smaller label has enough room to write a description (assuming your writing is not large). I bought it with the recommended pen, and tested re-use: it wipes completely clean. A pencil could probably work too. great things for labelling the wine! Just the ticket I wanted! Just what I ordered. They're a gift - I should have ordered some for myself at the same time. These tags are the best I've ever found. The neck hole is bigger than some others and fits well over larger format bottles ( previous ones fit Bordeaux but not some of the Rhone and Burgundy bottles, let alone magnums). I received my order two days after placing it, well wrapped and in perfect condition. Just the way it should be! Best I've found so far: reusable (if you use non permanent OHP pens), centre hole is large enough to fit over champagne and larger format bottles, unlike other tags I've bought in the past. Very pleased.